The progressive rock genre, is something I hold dear. As a long time fan of all things rock I feel it is important to be challenged by the music I listen too. 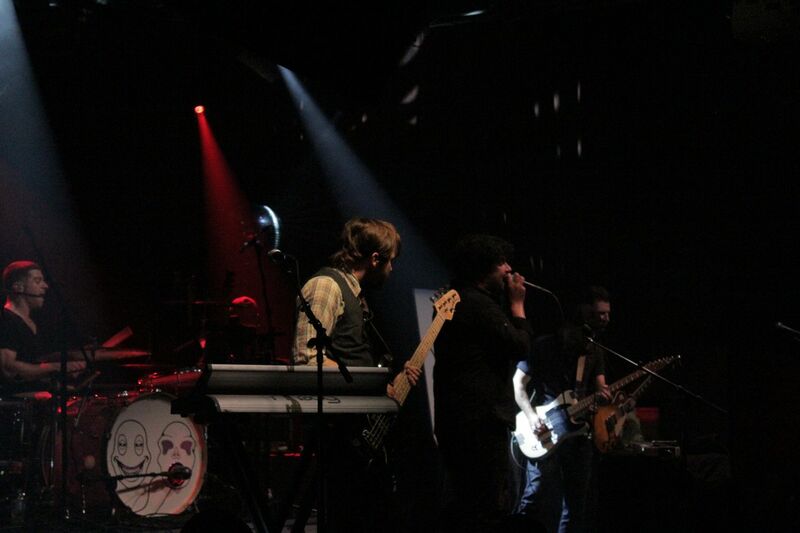 This past week, the LocalBozo crew headed over to NYC’s Highline Ballroom to check out two bands that embody the progressive sound, The Dear Hunter and Dredg. The former would take the stage first. 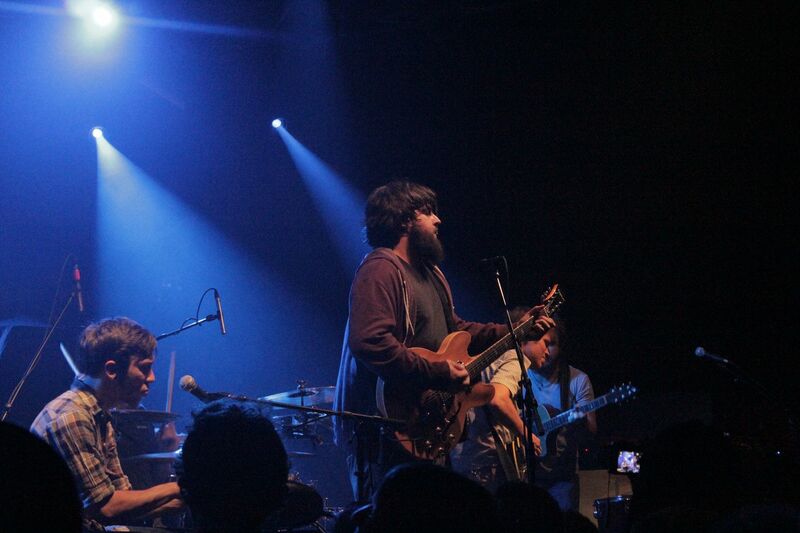 The Dear Hunter is a seriously multi-talented outfit, proven by their tremendous live show. 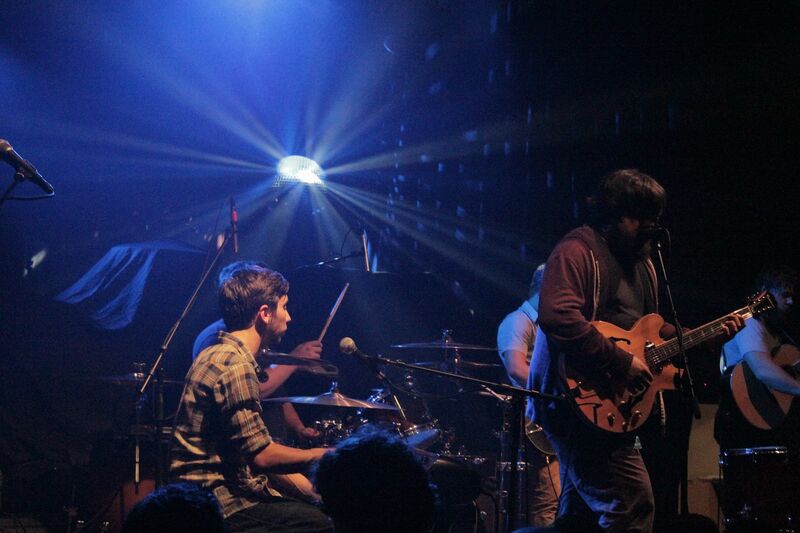 Band leader Casey Crescenzo is a true work horse when it comes to his band duties. He is a multi-instrumentalist lending vocals, piano, guitar, and arrangements, working each of these moving parts from song to song flawlessly. It isn’t hard to see that The Dear Hunter has been influenced by the legendary progressive bands that have come before them. 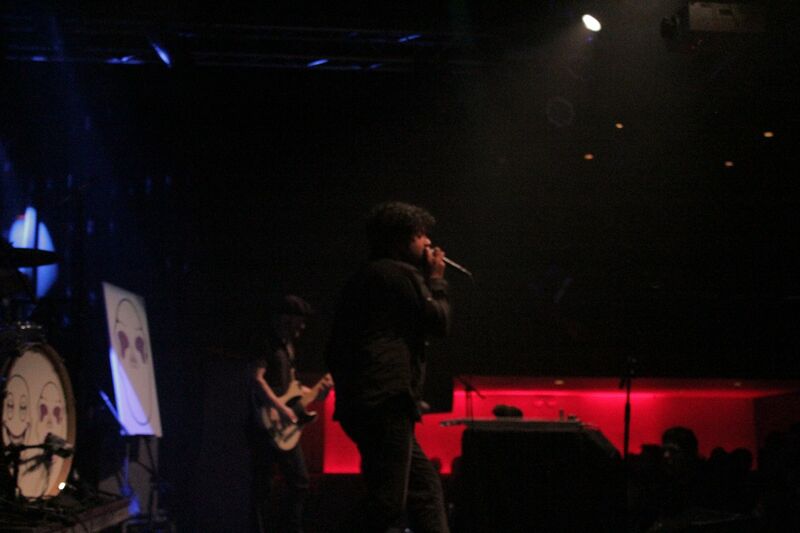 Throughout the set we continuously made comparisons to both The Mars Volta and even Mr. Bungle. These types of influences have allowed the band to create their own unique style as a platform to go on and collaborate on some amazing sounds. Songs like “Mustard Gas” and “We’ve Got A Score To Settle” clearly exhibit the band’s dynamic range. 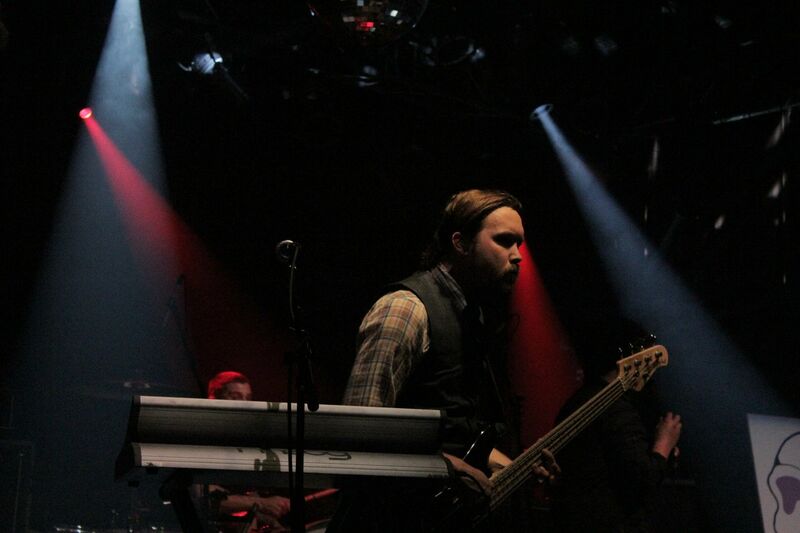 The Dear Hunter will release their new album, “The Color Spectrum” on June 14th. They are truly a band on the rise so try and catch them at more initimate venues like the Highline Ballroom, before you have to fight through the crowd at Coachella and All Points West to catch a glimpse of them next time. 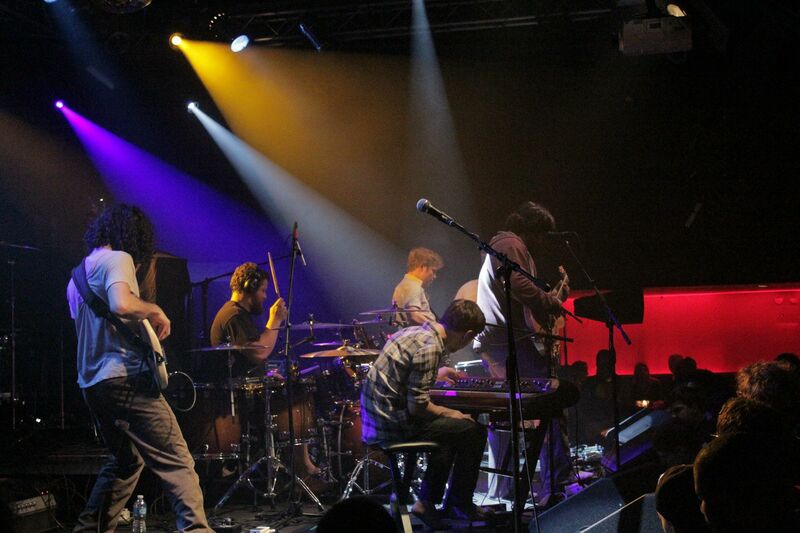 After a short set break it was time for the night’s headline act, Dredg. 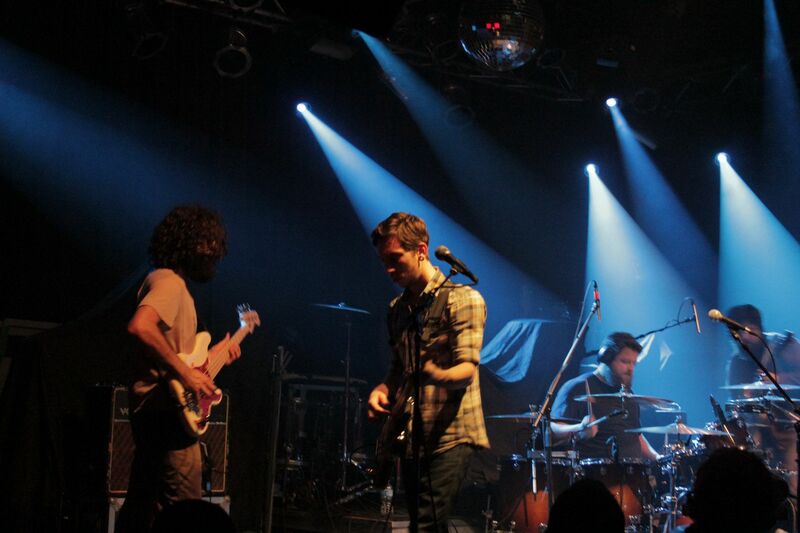 Dredg, is a American Progressive/alternative rock band from Los Gatos, California and may be one of the most technical and versatile bands working today. Formed in 1994 the band’s current lineup includes vocalist Gavin Hayes, guitarist Mark Engles, bassist Drew Roulette, and drummer Dino Campanella. 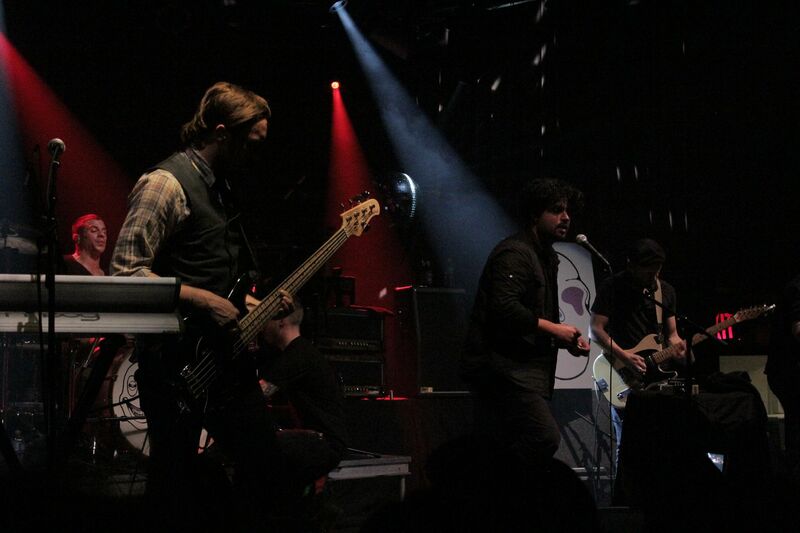 Dredg has consistently incorporated art, and painting in particular, into their albums and live performances. 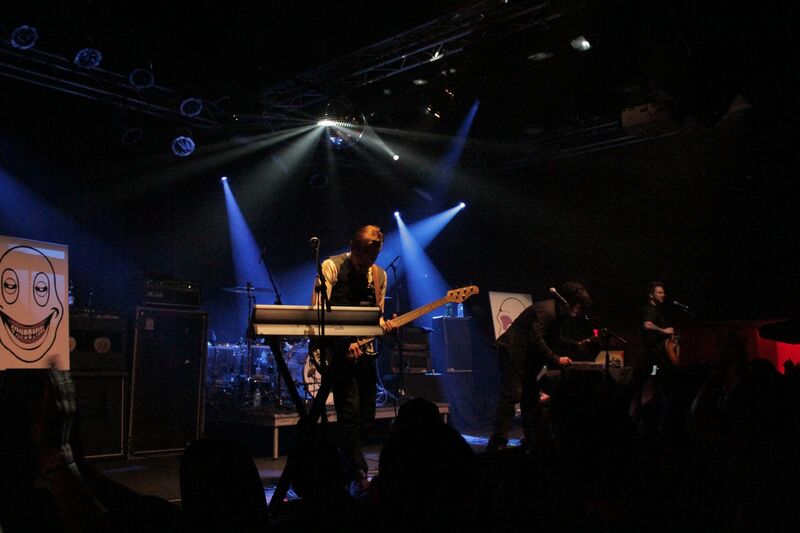 The band established themselves on the indie scene with their 1999 release of the concept album Leitmotif, which would land them a record deal with Interscope Records. Dredg continued to push the boundaries of art and music with the 2002 release of El Cielo and 2005 release of Catch Without Arms, alhough their constantly changing sound has made them difficult to label. 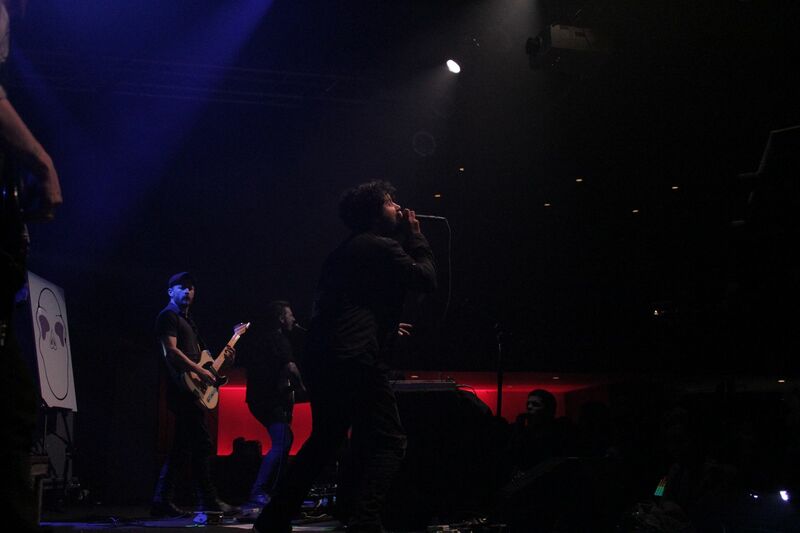 Having never seen Dredg live, our team was anxious to see how the band’s studio albums would translate in front of a live audience. Singer Hayes owned the stage, greeting the audience with a brief “Good evening. 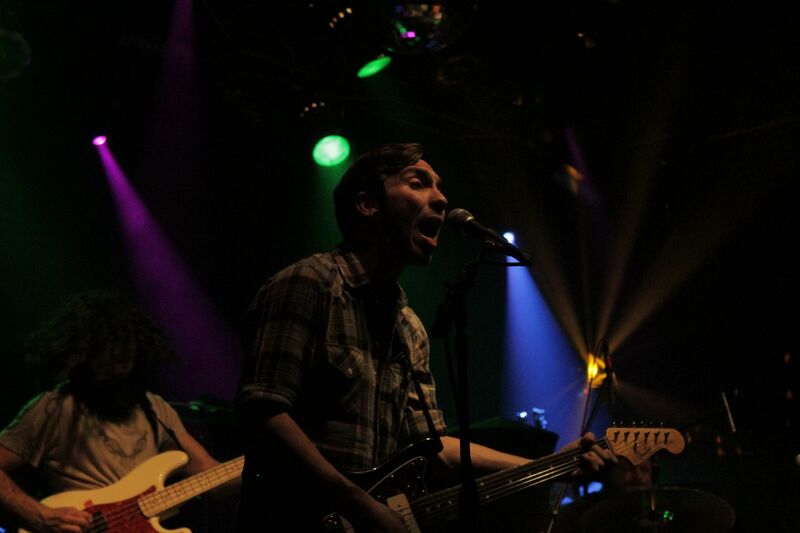 Nice to see you guys.” The four piece band took the stage as purple light shined upon them. There was a heavy usage of both greens and reds that appeared to sync nicely and complimented the music, throughout Dredg’s set. 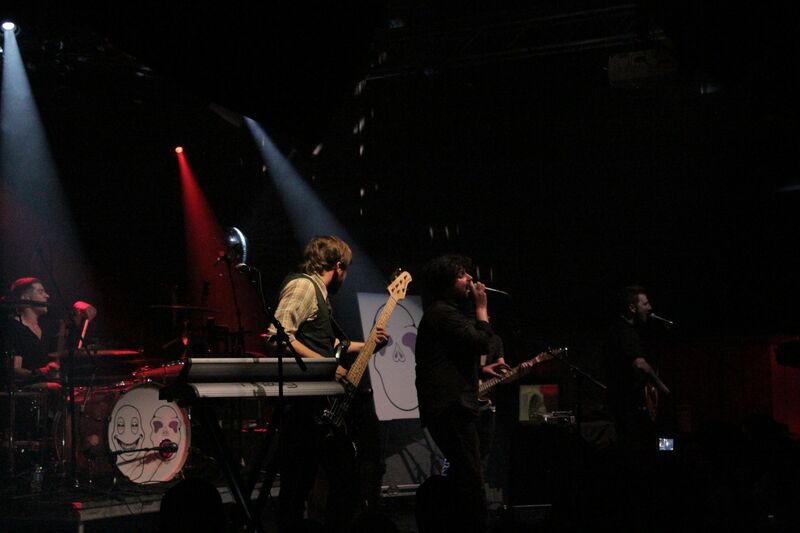 The light work shows that Dredg incorporates an art rock ethos as well, as the flashes of light continually touched down upon the painting covered easels on each side of the stage. It reminded me of how, Pink Floyd or The Grateful Dead would utilize lighting in order to enhance the live show. The diverse and high energy performance kept us banging our heads from the set opener, “Another Tribe” all the way to “The Canyon Behind Her.” An encore wasn’t played, and seriously was not needed. The younger skewing crowd certainly did not seem to mind. As a fan of metal and prog rock, these guys satisfied both genres for me. Dredg’s new album “Chuckles and Mr. Squeezy,” is out now. We have been playing it nonstop at the LocalBozo.com offices, and we highly advise you to pick it up. 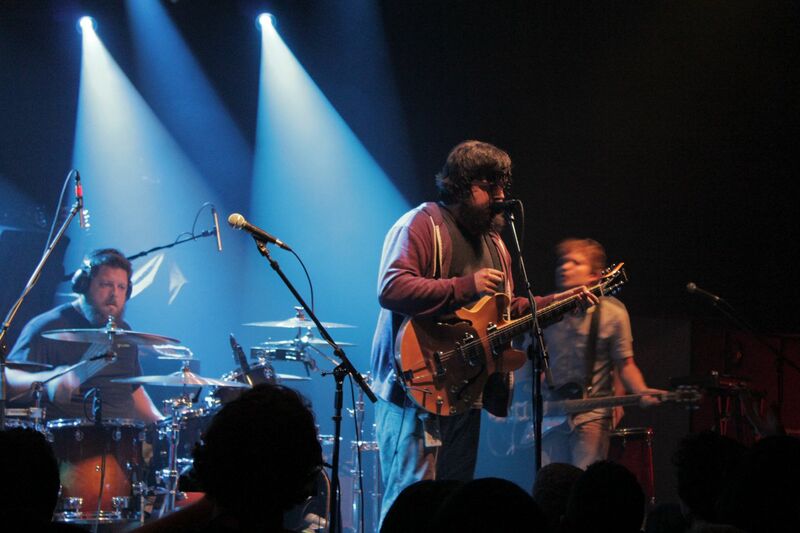 Both The Dear Hunter and Dredg prove that rock music is not simple, and it shouldn’t be. We need to challenge ourselves with the sonic goodness that these bands are striving to bring us both in the studio and live.